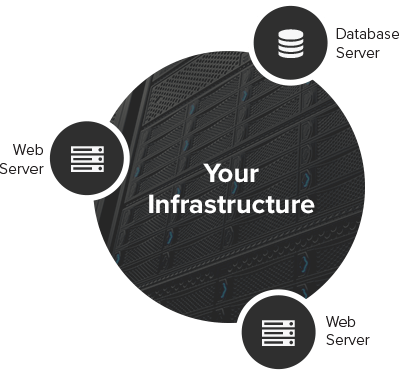 Instantaneous failover of DNS, applications, and databases managed by our Adaptive Support engineers. Immediate Disaster Recovery is fueled by a pre-built, fully-replicated, hot-standby environment capable of handling your full production workload at a moments notice. Provides full backups of application / customer data that is ready to be deployed on a new cold-standby environment. 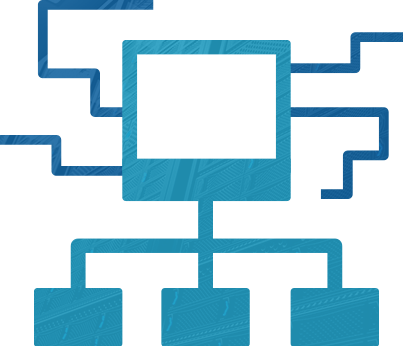 Our Adaptive Support engineers will assist with the implementation of Dedicated Servers, Cloud Servers, or a Hybrid Cloud to minimize system downtime. Manual Disaster Recovery provides baseline protection against critical business systems failure. By integrating a continuous data protection solution, such as R1Soft or Acronis, your key business application data is uploaded to the cloud, ready for manual restoration. Ideal for OS backups, Microsoft SQL and AD, and Office 365 data. Ideal for comprehensive, granular backups of your GA hosted dedicated server. 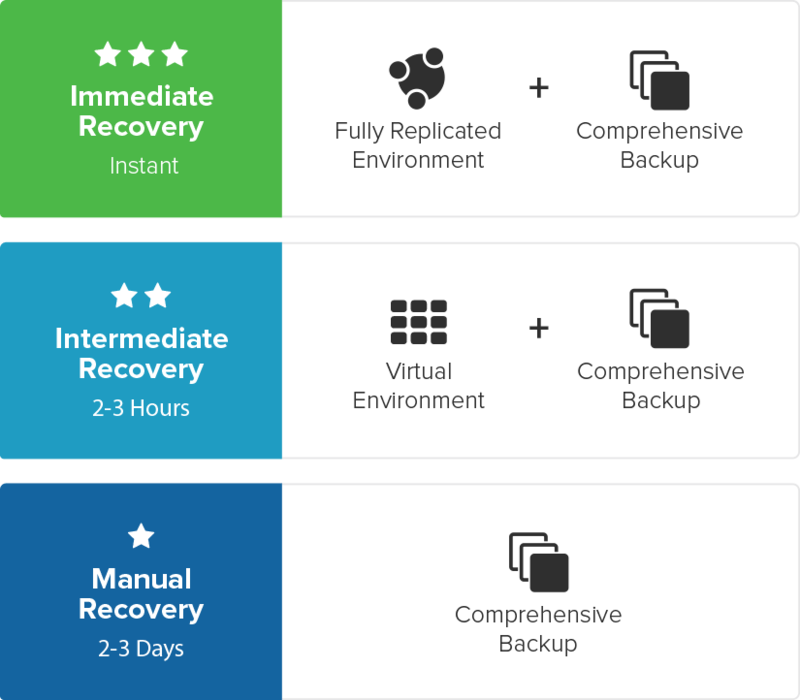 Ideal for virtualization backups that are optimized for easier recovery. 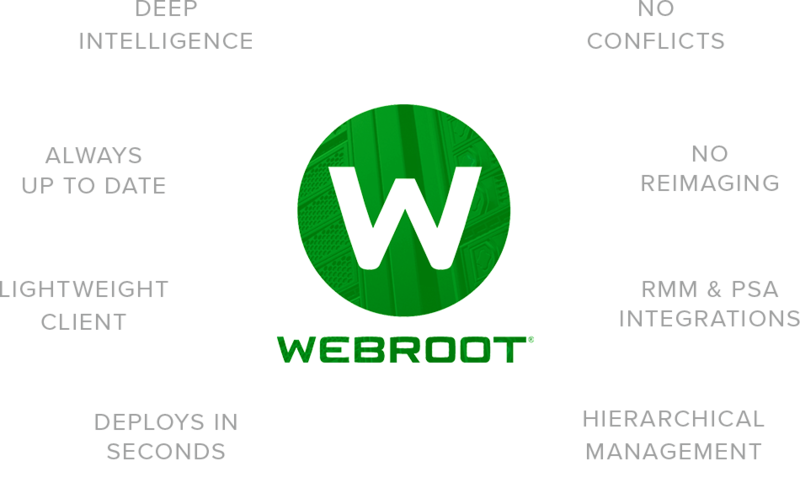 As a Webroot Certified Service Provider, we are uniquely positioned to offer a lightweight and easily deployable anti-virus solution for your Windows server and desktop environments. Webroot Endpoint Security provides an always-on, cloud based solution to enable your business unique insight into threats affecting your infrastructure. Start protecting your Windows Server's / Desktops from only $4 per agent per month. With a Palo Alto Firewall, your network is protected by an established security fingerprint that is constantly adapting to new threats identified across Palo Alto’s extensive user base. This security fingerprint combines with port and IP configurations to allow your network to stay one step ahead of security threats. Whether your accessing your network in office or across a VPN, Cisco Firewalls provide vetted, industry-leading protection for your network. With Cisco’s new FirePOWER technology, your network benefits from multi-layered security that fuses threat-focused profiles with superior port management. Software-based firewalls offer a cost-efficient solution that can be implemented on your existing hardware. Our software firewall options allow for simple setup, robust configuration options, and dynamic management. If you're looking for a flexible solution that can leverage your current hardware, then a software firewall is a good option. Bringing together technology and a unique operational perspective to provide a superior network offering. Our infrastructure management services allow you to focus on application and business development while certified engineers manage your network. Eliminate bottlenecks, unexplained outages, and configuration hassles for good.